To get right to the point, the new Incra I-Box is the most advanced tool ever produced for creating a stunning variety of box joints and finger joints. Its revolutionary design allows faster setup, greater versatility, and improved user safety compared to traditional jigs. At the same time, it's easy to use and the included 1 hour instructional DVD covers everything from basic setup to advanced decorative joinery. 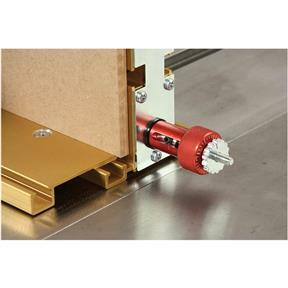 The I-Box is an evolutionary leap forward from conventional box joint methods - this single jig can be used on both your table saw and your router table, and the I-Box's dual pitch lead screw mechanics easily micro-adjust joint tightness and provide a whopping 1/8" - 3/4" range of pin widths. 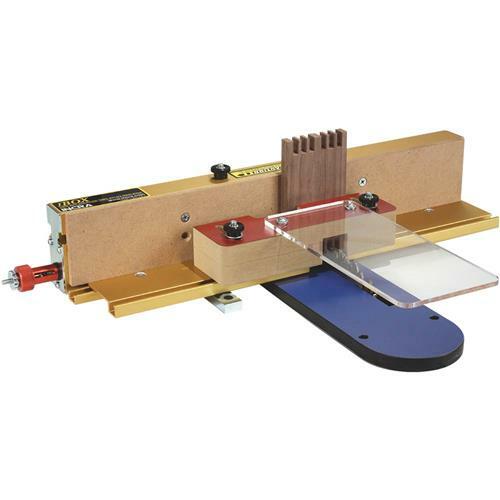 It's capable of making good fitting box joints using any width cutter within that range into lumber from 1/4" to 1" thick. The advantages continue far beyond the basics: I-Box-exclusive joints like the Center Keyed Box Joint can be used to produce symmetric patterns rather than ending your joint with a partial pin as often required with other traditional box joint jigs. The Splined Box Joint is yet another Incra-only decorative joint that's guaranteed to add "wow" factor to your projects, and the I-Box can even be used to produce an unlimited variety of classic dentil mouldings. 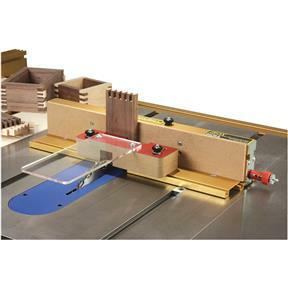 If you've been looking to improve your shop's joinery capabilities with a fast, versatile, and easy to use method for producing box joints of all descriptions, the Incra I-Box is what you've been waiting for. Have made numerous homemade jigs with varying levels of success, but NOTHING like this. Coupled with the Freud 1/4 & 3/8 blade set, next to near perfect results are well within reach. Spent some time with practice cuts and materials which proved well worth the effort, just finished my first application of the box joint and can not say enough about the accuracy of the cut. A true rival of the dovetail joint, with incredible appearance as well too. Well worth the investment, but I stress the results are a world better with the right blade set, a dado set will make the cut, but near as clean. i had been studying the i-box for some time!!!! utilizing the catalog and the videos on you tube which demonstrated its abilities to create accurate box joints!! the i-box will be easier for me to use and eliminate the guess work out of making finger box joints! !